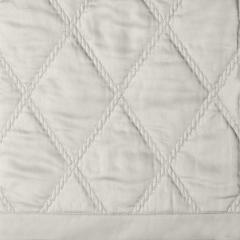 Signoria's lustrous Filicudi sateen quilted coverlet encases a layer of warm polyester and is overstitched with a diamond pattern. 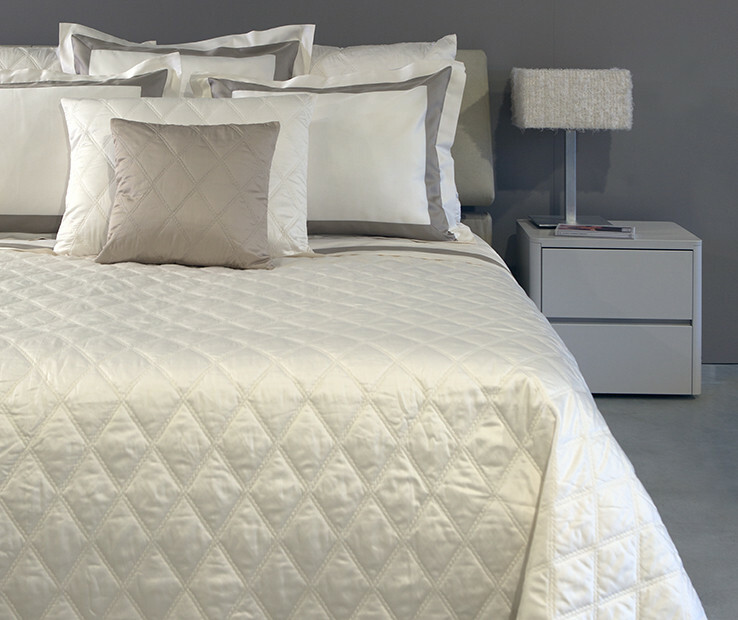 Synonymous with elegance, it is created to be the perfect match for both classic and contemporary styles. 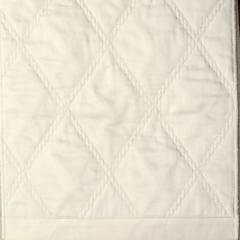 These bedspreads reverse to solid percale in the same color, have rounded corners at the bottom side and are finished with a sateen border in the same color. Available in a variety of colors and in Twin, Queen and King sizes. Made in Italy. 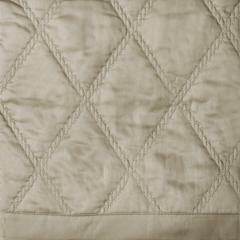 A classic from Signoria, our Masaccio quilted coverlet collection is made with Raffaello 300 t.c. 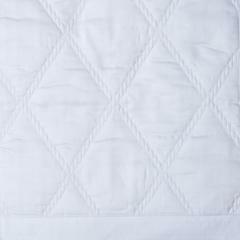 sateen, encases a layer of warm polyester and is overstitched with a contemporary and timeless square design. 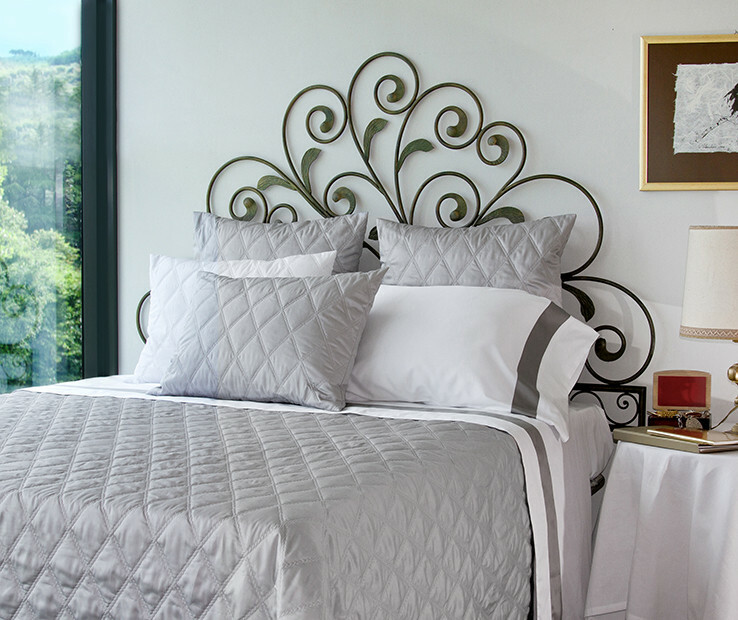 A Symbol of versatility, these bedspreads are available in a myriad of colors. 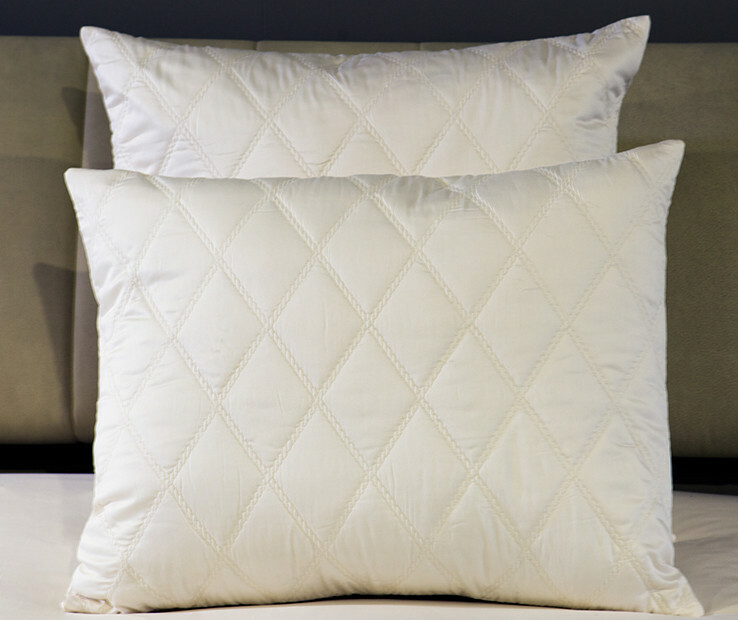 Signoria's lustrous Filicudi sateen quilted decorative pillow shams encases a layer of warm polyester and is overstitched with a diamond pattern. 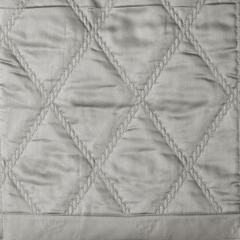 Synonymous with elegance, they are created to be the perfect match for both classic and contemporary styles. 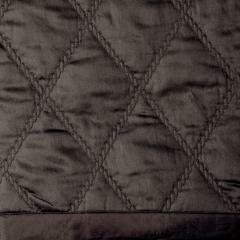 Zipper closure. 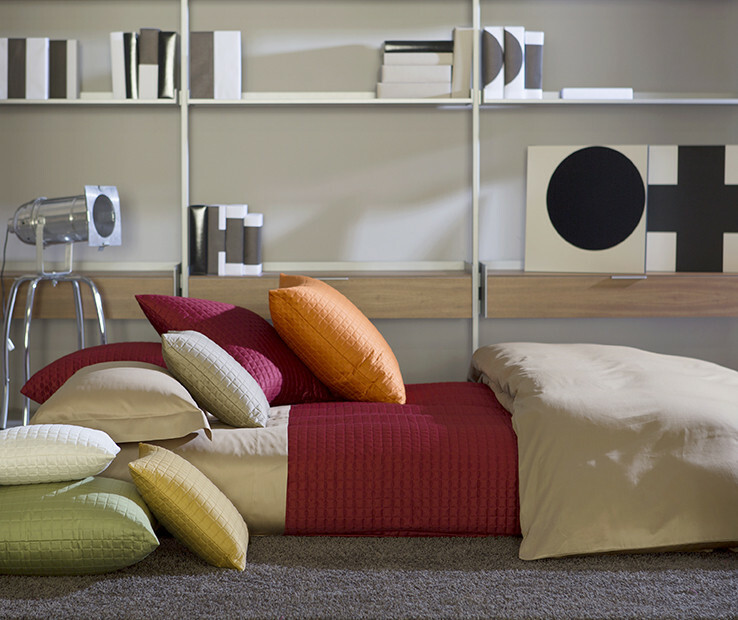 Available in a variety of colors and in Standard, Euro and King sizes. Made in Italy.